If you are a fan of printing your photos on the go, then Dell's new Zero-ink photo printer may well just be the thing you've been looking for. Dell's Wasabi PZ310 Ultramobile Photo Printer uses the same Zero-ink tech as the Polaroid PoGo printer and digital camera – which TechRadar had some hands-on time with recently. 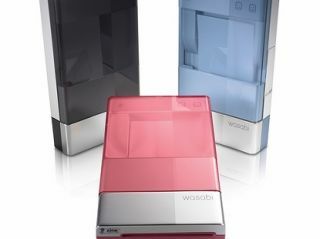 As with Polaroid's own device, the Dell Wasabi printer can print off up to 12 sheets of adhesive-backed ZINK Paper at a time. It can hook up to your digital camera via the standard USB rope or wirelessly via Bluetooth. Dell's printer takes a mere 55 seconds to run off a mini coloured photo-quality print. The only real problem with ZINK paper is that it is currently a little too costly for everyday use – although we do love pulling out the Polaroid PoGo printer for weddings, parties and big family get-togethers, when the mini 50 x 76..2mm business card size prints make a lovely wallet-sized gift. So it will be interesting to see how Dell's ink-less portable printer compares with the Polaroid version in terms of price and quality. Dell's printer is currently only available in the US (at $149) but TechRadar has spoken with a UK rep from the company today and we should have more details on UK pricing and availability shortly. In the meantime, for more head over to Dell's website.